Leeds, Ala — I had heard nothing but great things about this place when I announced I was going to visit. Even the bikers I met along the way down I-65 told me I was in for a treat. I cruised down to Birmingham this afternoon and after fighting the wind and several road projects, I pulled into the Barber Motorsports Park. It is a sprawling facility, cut out of the Alabama countryside. It’s the home of the worlds largest motorcycle museum, which I plan to visit tomorrow, but today, I went to the race track. I have never been to a motorcycle race, much less had access to the “paddock” area, and as a biker, I found myself in heaven. I’m still learning about the various makes and models of bikes, and I don’t have a clue who any of the racers are, but that’s why I’m here. To learn more about motorcycles, and to get a good dose of racing. 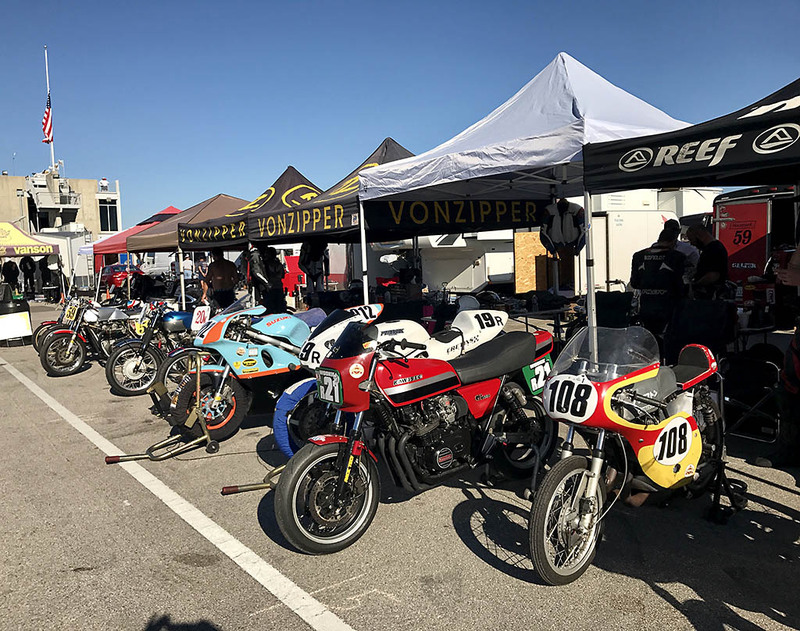 This annual event attracts vintage motorcycle enthusiasts from all over the country, and as I watched all of the vendors setting up for the weekend, I can only imagine the crowds that will be here. The first thing I noticed was how well run this event is. From the moment I picked up my credentials, to the time I was greeted at the gate, these are some of the friendliest people I’ve met at a major event. As I rode into the paddock, there were three levels of “stations” for all the race teams. I was mesmerized by all the types of motorcycles. The colors, the logos, the people working feverishly to get their bike ready for practice. Today, the various classes of bikes were getting laps, in preparation for this weekend’s races. I talked with wives, girlfriends, and some “old timers” who’ve been hanging around the sport for years. I stood along the start finish line and watched as the racers came hurling around the final corner and sped down the straightaway, tweeting their machines for competition. It was awesome. And this was just practice. This property is beautiful as I watched race fans setting up their campsites, and vendors getting ready for the weekend. I just soaked it all in. The sights, the smells, the noise.